Zuzana ‘Zuzi’ Sochova has traveled to speak, train, and coach the world: Europe, USA, India, Vietnam... She was able to get attention and create engaging learning environment to all different audiences. She delivers talks, workshops and keynotes with great feedback from the audience, which makes people leave their comfort zone and look at things from very different perspective. Zuzi speaks at about 15 conferences and events across more than 10 different countries each year and has been a professional speaker for more than 6 years. Her latest keynote is based on the popular book The Great ScrumMaster: #ScrumMasterWay published by Addison-Wesley (Jan 2017). Zuzi energizes audience with her inspiring talks, workshops, keynotes and her talks become essential part of several conferences where she speaks regularly. To have Zuzi speak at your next event, please reach out here! Here are some of my references from international and local conferences, public talks and articles. Check my selected conference videos and talks. Invited to talk at Agile 2019 August 5-9, 2019, Washington DC, USA (HR Goes Agile). Invited to talk and have a workshop at Agile Austria 2019 June 25-26, 2019, Graz, Austria (Agile HR). Invited to talk at​ Big Apple Scrum Day 2019 May 10, 2019, New York, USA (HR Goes Agile). Keynote presentation at Agile: Transition and Transformations 2019 April 11, 2019, London, UK (Great ScrumMaster). Keynote presentation at Agile Days Istanbul 2019 April 4, 2019, Istanbul, Turkey (Agile Leadership). Invited to talk at Beyond Agile Israel 2019 January 17, 2019, Tel Aviv, Israel (Agile Leadership, The City Game). Invited to talk at Agile Tour Vilnius 2018 October 25, 2018, Vilnius, Lithuania (Great ScrumMaster). Keynote presentation at Agile Tour Kaunas 2018 October 18, 2018, Kaunas, Lithuania (Agile Leadership). Invited to talk at TestCon Vilnius 2018 October 16-18, 2018, Vilnius, Lithuania (Agile Leadership). Keynote presentation at Agile 2018 CZ October 10, 2018, Prague, Czech Republic (Agile HR). Invited to talk at Agile Prague September 10-11, 2018, Prague, Czech Republic (Agile Leadership). Invited to talk at Agile 2018 August 6-10, San Diego, CA, USA (Chef's Team). Invited to talk at Agile Austria Conference 2018 May 17-18, 2018, Graz, Austria (Agile Leadership). Workshop 'High-Performing Teams' at Agile Austria Conference 2018 May 16 2018, Graz, Austria. Keynote presentation at Project management conference, May 23-24 2018, Zlín, Czech Republic (Agile Leadership). Keynote presentation at Agile Days 2018, March 22-23 2018, Moscow, Russia (Great ScrumMaster). Facilitator at Business Agility 2018 Conference, March 14-15 2018, New York, USA. Keynote presentation at Lean and Agile ME Summit 2018 March 10 2018, Dubai, UAE (Great ScrumMaster). Presentation at Scrum Meetup March 5, 2018, London, UK (The Great SrumMaster). Keynote presentation at Agile Showcase Brussels February 28 2018, Brussels, Belgium (Agile Leadership). Talks for private clients and companies. Topics include: "Agile methods implementation", "Change of company culture", "Leadership", "Agile Leadership". Invited to talk at JavaDays 2017 November 13-14 2017, Prague, Czech Republic (Agile methods implementation). Invited to talk at Global Scrum Gathering Dublin 2017 October 30 - November 1 2017 Dublin, Ireland (The Great ScrumMaster). Invited to talk at Agile Prague September 11-12 2017, Prague, Czech Republic (The Great ScrumMaster, The Keys to Responsible Behavior). Invited to talk at Global Scrum Gathering Singapore 2017 July 17-19 2017 Singapore (Chef's Team). Keynote presentation at Agile Day Riga 2017 July 7-8 2017, Riga, Latvia (Agile Organization - Organization 3.0). Keynote presentation at Agile Austria Conference 2017 June 28-29 2017, Graz, Austria (Great ScrumMaster). Workshop 'Agile Leadership to Build Great Teams and Organizations' at Agile Austria Conference 2017 June 27 2017, Graz, Austria. Invited to ITEM 2017 June 17-18 2017, Dnipro, Ukraine (Tribes). Invited to talk at TechEd 2017 May 15-18 2017, Prague, Czech Republic (Agile methods implementation). Invited to talk at Big Apple Scrum Day May 1 2017 New York, USA (Mastering Retrospective). 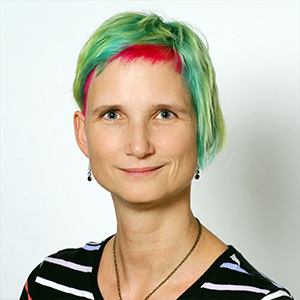 Podcast for Scope of Success, Ep27 - BASD: Great ScrumMaster - Zuzi Sochova. Podcast for Agile Amped (SolutionsIQ), Scrummaster way koncept. Invited to talk at ShowIT 2017 February 7-9 2017, Bratislava, Slovakia (Agile methods implementation). AgileNEXT podcast, Episode 30: Zuzi Sochova, Agile & Scrum Coach. Invited to talk at Agile Leadership (Agile Tour 2016 Chennai) November 6 2016, Chennai, India (Agile Organization). Invited to talk at Agile Prague September 12-13 2016, Prague, Czech Republic (Team Toxins). Invited to talk at Global Scrum Gathering Bengaluru 2016 June 27-29 2016, Bengaluru, India (The City Game). Invited to have a workshop and talk at Agile Europe 2016 May 30-June 2, 2016, Gdansk, Poland (Great ScrumMaster - #ScrumMasterWay, Agile Product Ownership - StoryMapping). Invited to talk at Big Apple Scrum Day May 16 2016, New York, USA (Communication). Invited to talk at Scandinavian Agile Conference March 8 2016, Helsinky, Finland (Great ScrumMaster - #ScrumMasterWay). Closing Keynote at Agile Slovenia 3-4 December 2015, Ljubljana, Slovenia. (Great ScrumMaster - #ScrumMasterWay). Co-chair, conference Global Scrum Gathering Prague 2015 16-18 November 2015, Prague, Czech Republic. Interview for Scrum Master Toolbox, November 2015. Invited to talk at Coding Serbia 8-9 October 2015, Novi Sad, Serbia (Agile Implementation Stories). Opening Keynote at Agile Tour Belarus 2-3 October 2015, Minsk, Belarus. (Great ScrumMaster - #ScrumMasterWay). 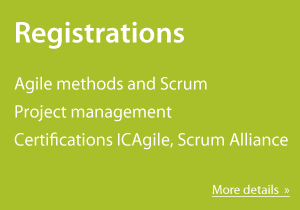 Invited to talk at Agile Prague 2015 14-15 September 2015, Prague, Czech Republic. (The City Game). Invited to talk at Global Scrum Gathering Phoenix 2015 4-6 May 2015, Phoenix, USA (Mastering the Retrospective). Invited to talk at ACE! 16-17 March 2015, Krakow, Poland (Tribes). Invited to talk at Topconf Tallinn 2014 Nov 6-7 2014, Tallinn, Estonia (Mastering Retrospective and Agile Communication). Invited to talk at Agile Tour Vilnius 2014 Oct 9 2014, Vilnius, Lithuania (Tulming Travel Board Game and Mastering Retrospective). Invited to talk at Mobile App Europe Sep 29 - Oct 1 2014, Potsdam, Germany (Agile and Lean Startup: Be flexible with high-performing team). Invited to have a workshop at Global Scrum Gathering Berlin 2014 22-24 September 2014, Berlin, Germany (Tulming Travel Board Game). Invited to have a workshop at Agile Prague 2014 15-16 September 2014, Prague, Czech Republic (Coaching starter). Invited to have a workshop at Scrum Gathering India Regional 2014 10-12 July 2014, Hyderabad, India (Tulming Travel Board Game). Invited to talk at ACE! 16-17June 2014, Krakow, Poland (Mastering Retrospective). Workshop at DevConFu conference 28-30 May 2014, Jurnama, Latvia (Tulming Travel Board Game). Invited to talk at TechEd - DevCon 20-23 May 2014, Praha, ČR (Future of Agile a Scrum). Workshop na Pilsen Barcamp 12 April 2014, Plzeň, ČR (Tulming Travel Board Game). Podcast at Agile.FM - Radio for the Agile Community - New York City Podcast Video. Podcast at Java User Group Czech Republic: Agile and Retrospective (Czech) . Workshop: Interactive agile board game "Tulming Travel Game" at conference Agile Testig Days 28-31 October, Potsdam, Germany. Invited to talk at Agile Tour Vilnius 2013 10 October, Vilnius, Lithuania (Agile Implementation Stories). Invited to talk at Agile Slovenia 2013 7 October, Ljubljana, Slovenia (Building Agile Organization). Workshop "Tulming Travel Game" at conference Agile Prague 16-17 September, Prague, Czech Republic. Invited to talk at Scrum Gathering India Regional 2013 26-27 July 2013, Pune, India (Building Agile Organization). Agile workshop: Starting Agile 15 July 2013, Ho Chi Minh City, Vietnam. Invited to talk at BarcampSaigon 2013 7 July 2013, Ho Chi Minh City, Vietnam (Agile Implementation Stories how to be successful with Agile). Invited to talk at TechEd 21-24 May 2013, Prague, Czech Republic. Invited to talk at ScrumImpulz 9 May 2013, Bratislava, Slovakia (Agile Adoption Stories: Can Banks and Mobile Operators be Agile?). Invited to talk at ACE! 15-16 April 2013, Krakow, Poland (Agile Communication: Communication Conspiracy). Invited to talk at AgileDays 29-30 March 2013, Moscow, Russia (Agile Communication: Communication Conspiracy). Invited to talk at ALE Bathtub VII Conference 26 March 2013 (Agile Adoption Stories: Building Agile Organization). Invited to talk at CzechTest 21-22 March 2013, Prague, Czech Republic (Agile Adoption Stories). Invited to talk at Agile Dev Practices 4-7 March 2013, Potsdam, Germany (Tulming Agile Airplane Manufacturer Workshop). Invited to talk at Belgium Testing Days 27 Feb-2 Mar 2013, Brussels, Belgium (Agile Communication: Communication Conspiracy), and one day tutorial (Starting Scrum). Invited to talk at Agile Testing Days 19-22 November 2012, Potsdam, Germany (Agile Communication: Communication Conspiracy). Invited to talk and one day tutorial at Topconf Tallinn 1-2 November 2012, Tallinn, Estonia (Agile Implementations: Good and Bad). Talk at Scrum Gathering Barcelona 1-3 October, 2012, Barcelona, Spain (A story about dinosaur called Mainframe and a small fly Agile). Invited to talk at Agileee Kiev 6-7 October 2012, Kiev, Ukraine. Program comitee member. (Agile Communication: Communication Conspiracy). Conference organization and practical workshop at Agile Prague 3-4 September 2012, Prague, Czech Republic (Tulming Agile Airplane Manufacturer Workshop). Invited to talk at Agile 2012, Texas, USA (A story about dinosaur called Mainframe and a small fly Agile). Invited to talk at GOTO Amsterdam 24-25 May 2012, Amsterdam, The Netherlands. Talk and Experience Report at XP2012, 21-25 May 2012, Malmö Sweden. (Talk: Agile Communication, Experience report: A Story About Dinosaur Called Mainframe and a Small Fly Agile). Invited to talk at TechEd-DevCon Conference 2012, Prague, Czech Republic (Agile and Lean in Software Teams). Invited to talk and have a one day workshop at Agile Riga Day 16-17 March 2012, Riga, Latvia (Agile Communication: Communication Conspiracy). I'm Speaking at XPday 2011 21-22 November 2011 in London. Invited to talk at GOTO Prague 22-23 November 2011 (Agile Patterns). Ambassadoar at Agile Testing Days 2011, Potsdam, Germany. I'm speaking at Agile Prague Conference 29-30 September 2011 in Prague (Agile communication: Back and forth between managers and teams). I'm speaking at ALE2011 Unconference 7-9 September 2011 in Berlin (Agile communication: Back and forth between managers and teams). Invited to talk at Agile Riga Day 2011, Riga, Latvia (Company Culture as the Key Agile Milestone). Wrote paper on Agile adoption process for the 9th International Conference on Software Methodologies, Tools and Techniques, SoMeT 2010, Yokohama, Japan (Hidden Gap in Agile Methods Adoption). Directly responsible for organization of Agile Section of WebExpo 2010, Prague, attended panel discussion Agile from the management position. Invited to talk at ACE - Agile Central Europe 2010, Krakow, Poland (Company Culture as the Key Agile Milestone). Wrote paper on Methodologies and Tools for Management for Centre for Applied Cybernetics. Invited to talk at Agile Eastern Europe Conference 2009, Kiev, Ukraine (Extreme Scrum). Wrote paper on Agile and Scrum for the 8th International Conference on Software Methodologies, Tools and Techniques, SoMeT 2009, Prague (Software Development Methodology for Fast Changing Environment). Invited to talk at IT conference WebExpo 2008, Prague (Agile and Scrum Methods). Multiple publications for professional IT magazines on Agile and Scrum (Business World, ICT revue). Invited to have lecture at Universities, FEL CVUT, FIT CVUT, VSE and MFF UK, Prague. Guaranting one semester lecture at FIT CVUT Case Studies of IT Business. Author of the books: The Great ScrumMaster: #ScrumMasterWay (Addison-Wesley Signature Series (Cohn)), Agilní metody řízení projektů (in Czech).